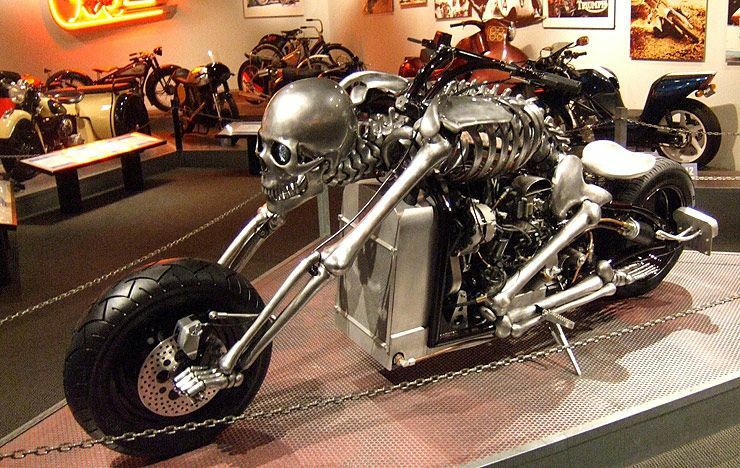 This motorcycle is a work of art, the entire frame of the bike has been expertly converted into a human skeleton form. The front forks of the bike are the arms of the skeleton and its hands are the wheel hubs. With no obvious speedometer or lights of any description this bike may not be street legal…but who cares right! 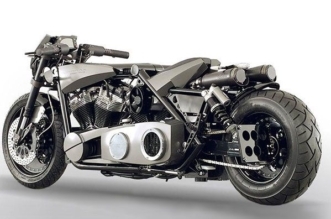 Straight out of hell or straight out of Hollywood, this bike has a gut busting 2.3 liter Ford engine with a variable flow hydraulic drive, hammer forged sixteen gauge cold rolled steel skeleton shell. 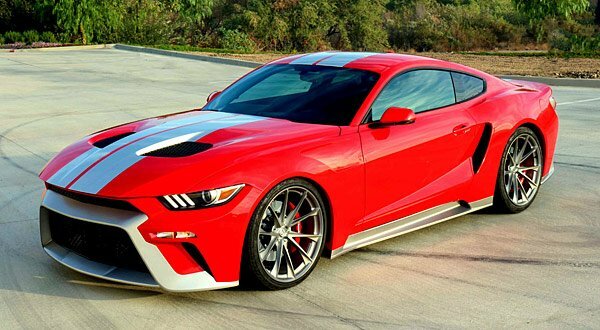 It weighs eight hundred and 50 pounds and has a top speed of 90 – 95 mph. 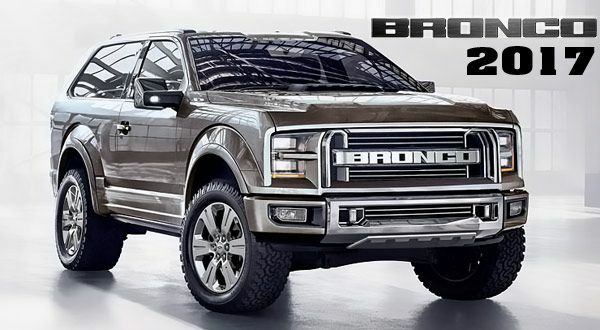 It looks very sleek and would raise a few eyebrows cruising down main street. If it were my bike I would paint the bones up in white enamel for better aesthetical appearance. I would wear a devil costume with horns coming out of my lid too. The tire on the back is reminiscent of a car tire which in all probability it actually is. The stack exhaust pipes sticking out of the right side might be a bit intoxicating for the rider too and I would guess that its not equipped with any noise bafflers or silencers…well hopefully! 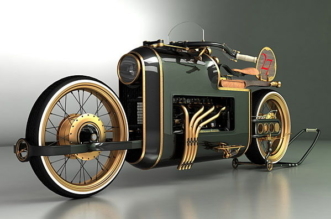 A bike like this would just have to be as loud as possible…and then some, yeah! Overall though a really nice and extraordinary motorbike that any self respecting motorcycle gang member would look more than at home on! 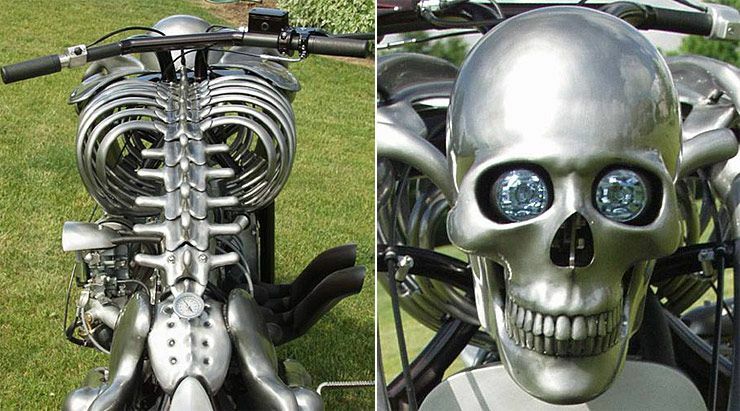 Seeing this bone bike in your rear view mirror might make you look twice. The perfect way to travel to any Halloween party though and a whole lot of fun too, especially if the rider was to wear some devilish looking leathers. 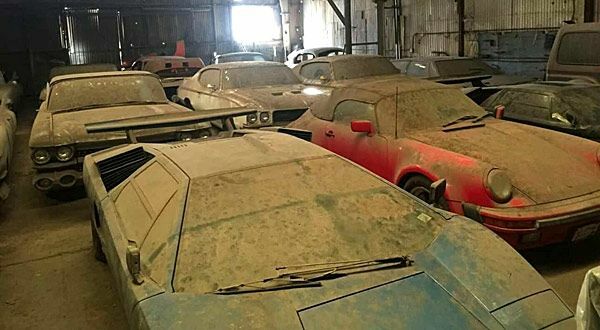 Maybe get some speakers rigged up and play some heavy metal. 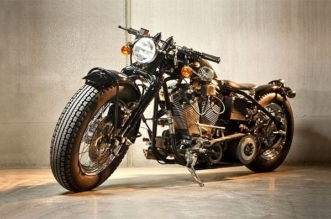 The Bone bike was created by John Holt in 2004-5 who was then about 37 years old, a self taught metal worker who, in 1995 actually designed and made medieval style suits of armor that were sold at Sotheby’s auction house in New York City. The virtually all handmade Bone bike was built in his basement shop in Boone County, Illinois, USA. The skeleton would actually be nine feet, two inches tall if it stood upright. Below is a photo of John Holt, who actually named his Bone bike as ” Iron Death ” Very suitable too, if I may say so! The skeleton has a giant skull in front with one headlight in each eye socket, and 32 teeth in its awesome jaws. This is the first motorcycle that Holt has built, and it took him just under two years to make, fashioning it after a plastic model of a skeleton he bought at a hobby shop.